We host a mid-year parent/teacher conference to discuss current progress and recent or new interventions, concerns about behaviour and attendance. These formal meetings are outside of the ongoing support our team offers parents/carers, whenever the need arises. Progression is also discussed during the pupil’s Annual Review of their Education, Health and Care Plan – for more details Reviews & Meetings. During the parent’s evening in the summer, teachers complete an Annual Academic Report where progress over the year can be celebrated. This provides them with a summary of how their child has progressed in each subject with tutor and headteacher’s comments. A mark from 1- 3 is given for behaviour and effort where 3 equals excellent work and effort and 1 means attitude and effort are poor. 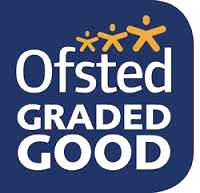 We pride ourselves on developing pupils to reach their potential and maximise their level of achievement. Each pupil has their own targets for the core subjects on English, Maths, Computing and Science which are monitored, measured and recorded by our teaching staff. Teachers currently record the progression of all pupils using a computer program called “Solar” specifically designed for assessing progress. Progress is recorded in some detail and can be viewed graphically. Reports can be generated and shared with parents during review meetings. 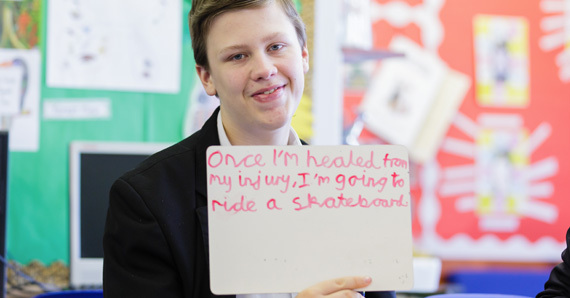 Each pupil has identified provisions contained in an Individual Support Plan (ISP) to support the achievement of their Educational, Health and Care Plan (EHCP) outcomes. These outcomes are monitored and evaluated as achieved, partially achieved or not achieved. An ISP report is sent home twice a year with comments about achievements towards their ISP progress. Further discussions about their child’s progress occurs at the February parent/teacher conference. 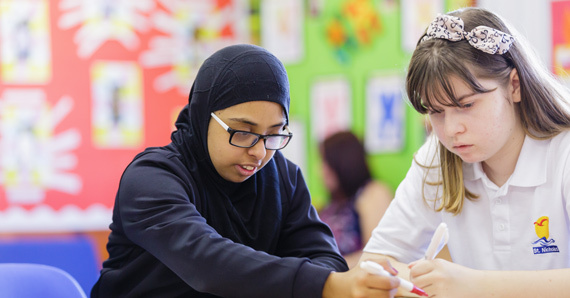 Where a pupil has specific behavioural difficulties, a Personal Support Plan (PSP) is put in place which is reviewed twice a year (or more often if required) and shared with parents and carers. 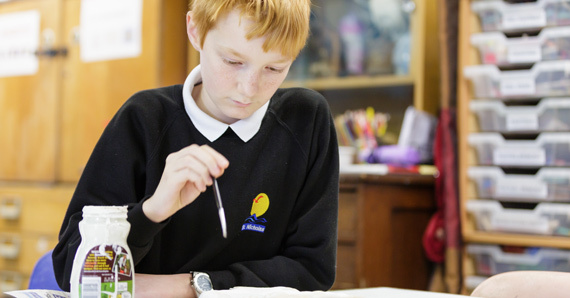 With the help of class tutors, the pastoral team monitors various interventions for nurture, behaviour/social mentoring and language/communication support. 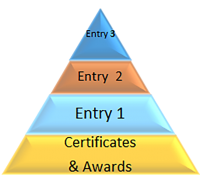 When pupils move into Key Stage 4 subjects are accredited through General Certificate of Secondary Education (GCSE) Entry Level Certificate (ELC). Entry Level Functional Skills courses are offered (Levels 1-3) for English, Maths and Computing, and a variety of other Entry Level courses in a wide range of subjects. Some pupils will complete Functional Skills Level 1 course in English. We have introduced a new Level 1 Computing course accredited through Edexcel. Year 11 will also be competing “The Duke of York Inspiring Digital Enterprise-Bronze Award” this year. The Duke of Edinburgh’s-Bronze Award is going from strength to strength. 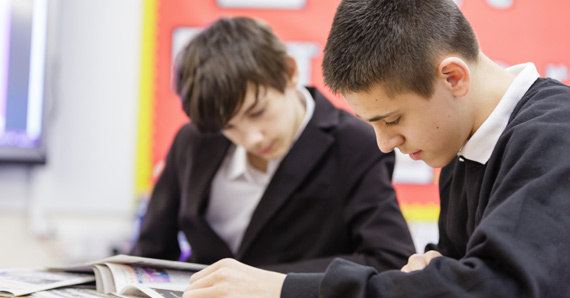 Only the most able pupils gain the opportunity to complete GCSE courses in English and Art. 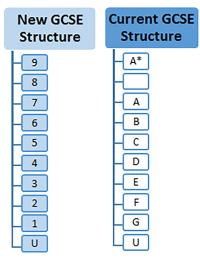 GCSE Exam grading has changed in 2017 to a numerical value from 9 – 1 grades (Instead of A* to G). Our latest attainment can be viewed here.